Choosing colourwashes and paints designed for use on old houses can greatly benefit the structure and appearance of your period home. Roger Hunt advises on the best materials to use when decorating the interior and exterior of a period home. Although the patina of faded, peeling or cracked paintwork can be attractive on old buildings, the maintenance of paints and finishes applied to walls and woodwork is vital to avoid damage and decay. Surfaces need to be protected from the effects of moisture, ultra-violet light, atmospheric pollution and general wear and tear. Even so, it is important that the right finishes are used because old buildings need to breathe, and coatings that seal in moisture may cause just as much harm as neglect. Another consideration is the important aesthetic contribution paints and finishes make, both externally and internally. With listed buildings in particular, it is worth remembering that some colours and textures have historic or local significance so undertaking any work that changes their character may need consent. Sand down wood and prime before painting to achieve a sleek finish. Surface preparation is key to the successful application of all paints and finishes, but go softly. Layers of paint reveal much about past colour schemes and the history of a building, so paint analysis can be useful before any work is carried out. Wall paintings, stencilling and other decoration sometimes exist beneath later layers and, where these are discovered, specialist conservation may be needed to preserve them. A common problem in old houses is a build up of paint layers that obscures the fine detail of carved timber or plaster mouldings. Another issue is where inappropriate coatings have been applied to walls, such as cement render. These modern coatings can trap moisture in brick or stonework, moisture that traditionally would have evaporated through the original porous construction materials, and may provide an unsound base for a new finish. There are many methods of removing coatings but there is no magic formula and removal may not always be in the best interests of the building. Using a harsh or inappropriate method can cause irreversible physical damage to surfaces – most methods are labour intensive and require considerable patience. Every case must be considered separately and the gentlest method should always be considered first. Contact SPAB’s free technical helpline for specialist advice (Monday to Thursday, 9.30am- 12.30pm; 020 7456 0916). Do any tests on a small inconspicuous area first and, if in doubt, stop. If surfaces are historically valuable, always seek professional guidance. Chemicals and water used for cleaning can soak into the fabric of a building, bringing salts to the surface and causing long term damage and erosion. When using scrapers take care not to dig into the underlying surface. Wooden or plastic spatulas and nylon bristle brushes are often preferable to coarser tools. Limewash has been used since early times and remains the most beautiful and breathable finish for period properties. Made from lime and water, and available ready-made, it has a matt finish and can be coloured with natural pigments giving it an almost glowing look. 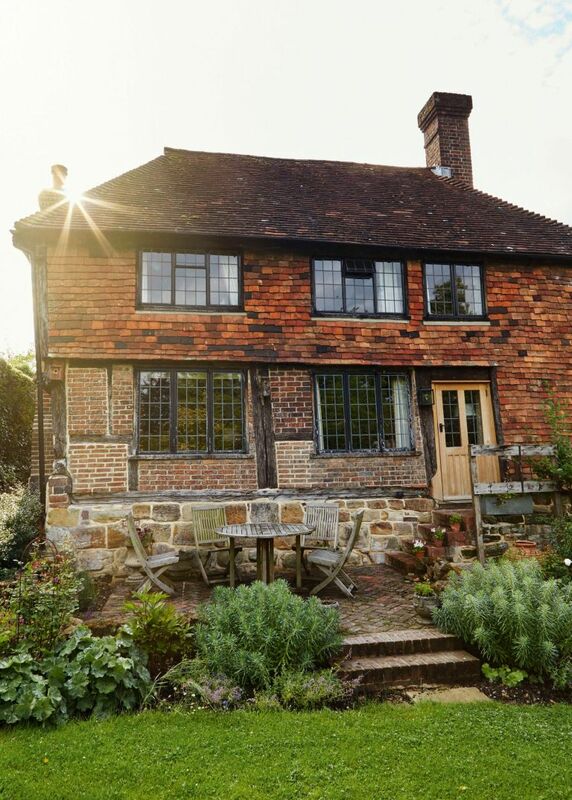 Limewash is ideal for porous surfaces, such as brick, stone, lime plaster or roughcast and, when used externally, typically needs renewing about every five years. It does not work well on non-porous surfaces such as cement renders, masonry paints and hard bricks. To improve water-shedding or adhesion, binders such as raw linseed oil, tallow and casein (a milk protein) are sometimes added to limewash but these can reduce breathability. Soft distemper is another traditional finish for walls. Popular before the introduction of emulsion, it is water based and generally made by adding hot glue size produced from animal parts to ‘whiting’ (pulverised chalk). It should not be confused with oil-bound or ‘washable’ distemper, an oil-based water paint. Its lack of durability and inability to withstand heavy wear generally rules against its use, except where it is essential to maintain a building’s character. Casein paints are an option for internal plaster and joinery. Consisting principally of casein and white lime, they provide a soft matt finish and are highly breathable but are not suitable for damp walls as the surface will become mouldy. Clay paints are a natural product suitable for interiors that provide a soft matt finish, good coverage and durability. Some clay paints are self-coloured by their natural mineral content; others have pigments added. The clay content absorbs moisture, helping to regulate the internal humidity of a building so it is ideal where condensation is a problem but it should not be used on damp walls. Clay paints can stain more easily than other types, so avoid using behind sinks or cookers. Linseed oil based paints offer a good alternative to lead paints, and have been used since the 1700s. They can last 10 to 15 years before repainting is required. The application process is relatively simple but it is vital to follow the manufacturer’s instructions. The paint should be applied to bare wood. This enables it to penetrate, helping to keep moisture out and to minimise the movement of wood exposed to the elements. Linseed oil paint forms a flexible film so it is more resilient to cracking than many other coatings. Beware of bubbling paint as it may indicate dampness trapped beneath. Look for cracks and peeling finishes that are allowing moisture penetration. Rust patches on metalwork are an indication of poorly maintained coatings. Remember that pre 1970s paintwork may contain lead. Take advice before sanding or removing textured wall finishes applied prior to the 1980s as they may contain asbestos. Be careful when disposing of rags used with linseed oil and other flammable decorating materials as spontaneous combustion can occur. Do not take the new generation of ‘microporous’ paints at face value. Not all allow surfaces to breathe in a traditional manner; even many water-based systems contain ingredients that trap moisture. Visit Roger Hunt’s website at huntwriter.com.